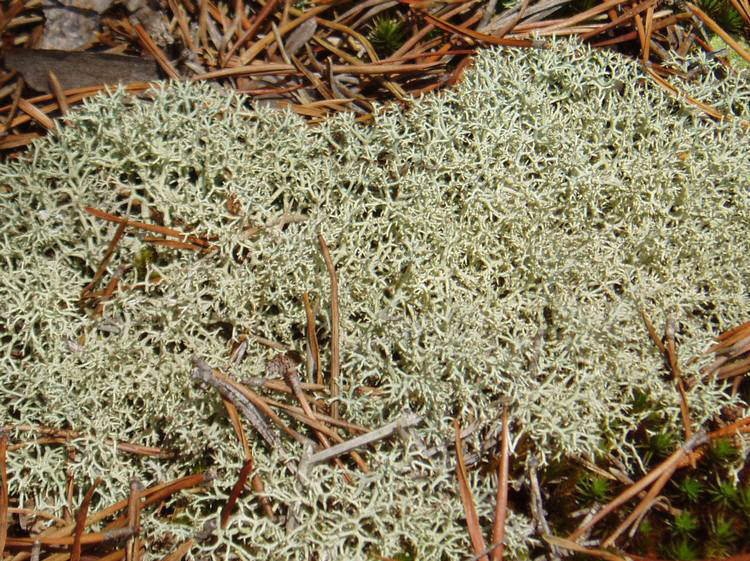 DIAGNOSTIC FEATURES: Abundantly branched forming cushions; slender podetia with main stalks not well-defined; ecorticate; predominantly Y-branching; compare with C. rangiferina which is gray-white, has open axils and is K+ yellow, with C. arbuscula with predominantky whorled branching, open axils, and K-, and with Cladonia furcata which is corticate and squamulose. ECOLOGY: A southeastern US species; quite common in southern Ohio, more scattered in northeastern counties; on soil almost exclusively, rarely on decaying wood. 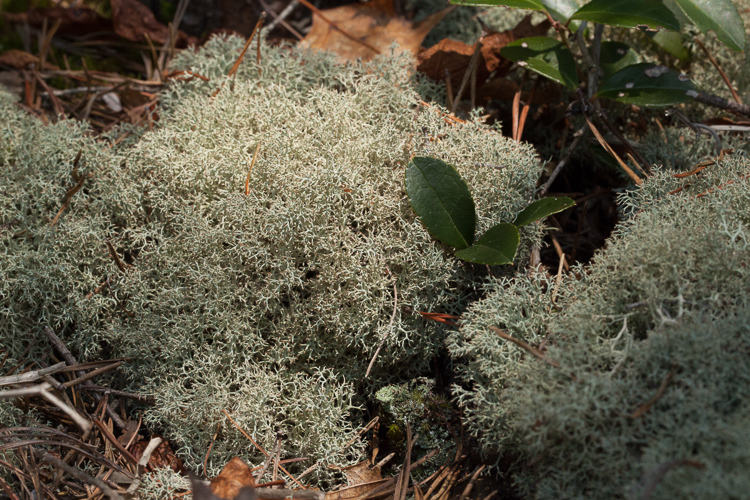 Frequent on roadside banks, rights-of-way and sunny woods edges. 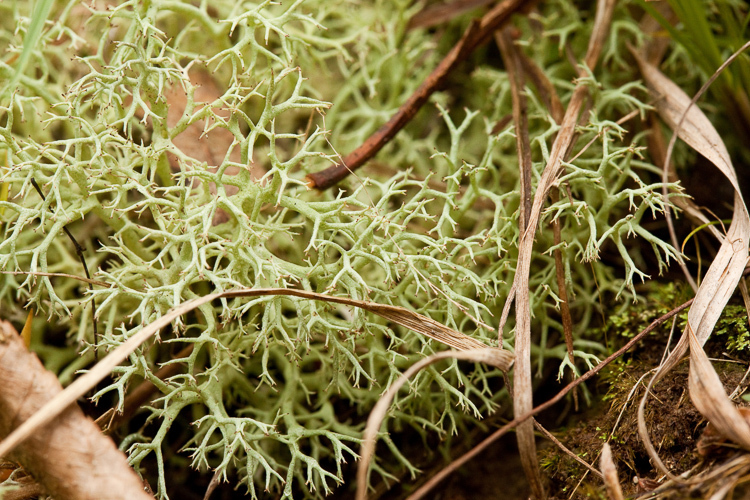 This is the most common “reindeer lichen” in Ohio.